Above 85 % of accuracy. Messages will be provided according to market condition via SMS in mobile & Yahoo messenger. Clients need to pay 20,000 as a caution money which will be adjusted in the initials profit earnings. Until your caution money will not cover, you need not pay any profit in the initial trading calls. Messages will be for intraday as well positional. Personalized service for the client with every movement of call whether to wait or exit. No loss will be recovered in terms of money. A loss will be covered by giving you trading SMS only. Example: If Mr. A trading by our recommendation . on first 5 days making a profit of Rs 30000 and on the 6th day making a loss of Rs 4000 then profit – loss mean 30000 – 4000 = 26000 so the client has to pay us 40 % of 26000 = Rs 10400 as fees . Get transparency in profit assurance daily performance will be given on SMS and E- mail. Clients need to deposit profit on a daily basis in our corporate bank account, then only the next day trading SMS is sent to the clients. We are Serving in Intraday profit sharing crude oil tips, Our Profit sharing advisory tips is Very Accurate and we will Give Mcx, Future & Option profit sharing Tips, Nifty Profit sharing tips. Gold Silver Profit sharing Tips Since very Long Time, We Have Lots of Clients in Major Cities of India Like Mumbai, Kolkata, Hyderabad, Bangalore, Chennai, Mysore, Madurai, Visakhapatnam, Kochi, Coimbatore, Vijayawada, Warangal, Thiruvanthapuram, Guntur, Ahmedabad, Surat, Pune, Nashik, Vadodara, Rajkot, Kanpur, Kerala, Delhi and Many More. All Calls will be given with @Cmp, single stop loss and single target. 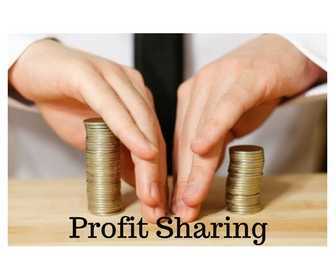 Why PROFIT- SHARING Trading service are better than any other kind of tips service?